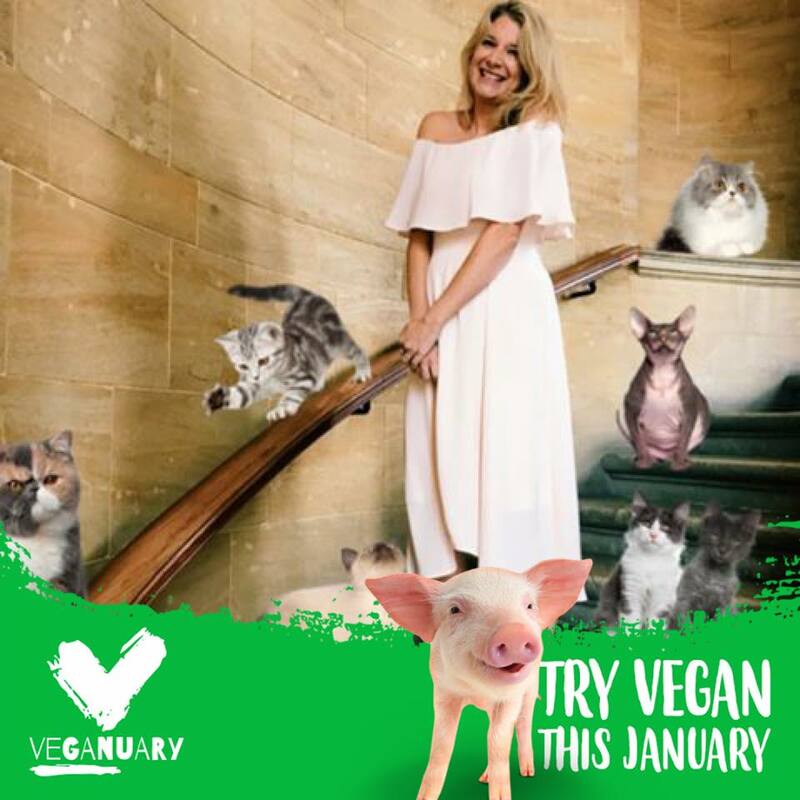 Last year over 168,000 people signed up to take part in Veganuary, a month long challenge to eat an entirely vegan diet. I was one of them and this year, together with Daisy, I plan to do it again. Making the switch to veganism is one of the most effective choices you can make to reduce the suffering of animals, help the planet and improve your health - even by doing it for just one month out of twelve has a massive impact on you and the world around you. Since my laparoscopic cholecystectomy back in 2014, I've eaten a dairy free diet, and I've not eaten chicken since the arrival of the Sixties Style Icons last October. Giving up the limited amounts of fish and red meat that I do eat wasn't especially difficult, but I did go about it completely the wrong way, spending a fortune on ready meals and eating out; purely out of laziness. Later in the year I discovered that it needn't be such an expensive lifestyle choice when I signed up for the Happy Pear Happy Heart course and learned about the benefits of whole food plant based eating, rather than going down the easy, vegan junk food route. Not only is it a million times better for you than just being vegan alone; it turns out that a diet made up predominantly of plants, pulses, grains and lentils is ridiculously cheap! In actual fact, my weekly shopping bill HALVED when I ditched all the pre-prepared stuff and started making my meals from scratch! If any of you are interested in signing up to Veganuary but are worried about the cost of all the fresh produce, then this post is for you. Below I'll be sharing a few top tips for stretching those ingredients, getting inspired and cooking some of the tastiest meals you'll ever have! If you know what you're going to be eating in advance, you can time your meals to make the most out of leftover fresh produce. Always scan your fridge and cupboards before you head out food shopping; I'm terrible for doubling up on ingredients. Don't be afraid or embarrassed to buy from the reduced section at the supermarket! Lots of fresh produce ends up there because it's best before date is looming - it is all still perfectly edible and even if you can't eat it straight away it can be used in a recipe for freezing, or frozen as it is. Also, if expensive store cupboard ingredients that you eat regularly are on offer then bulk buy! Following a recipe that feeds four? Double it and freeze the extra portions. If you're looking to save money and want to be able to eat inexpensive, nutritious, vegan food when you're low on time, then I can't stress how brilliant batch cooking is. There is literally no difference in price if you're making a dahl for 2 or a dahl for 12; just whack your leftovers into mason jars and bring them out to defrost on days when you know you'll be pushed for time to prepare dinner. The freezer is your friend! Not only can you store batch cooked meals in there, you can also freeze fresh produce that you're not able to eat before their 'use by' dates. You can also read my guide to reducing food waste here to find out more about freezing fresh and batch cooked food, storing your food properly and composting any organic matter that can't be used. Then there is also the official Veganuary account - and I love Happy Cow - which also happens to be a great app that will help you locate vegan friendly eateries nearby, if you do want to eat out! Other quick and easy meals include veggie soups, stir fries and buddha bowls - all are also a great way to use up any veg that's on the turn.